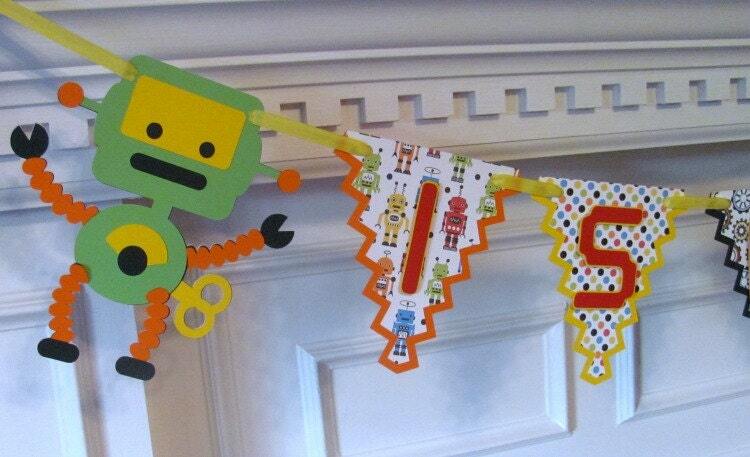 This listing is for a robot themed birthday banner in primary colors, red, yellow, blue, green and orange and featuring 3 different robots. 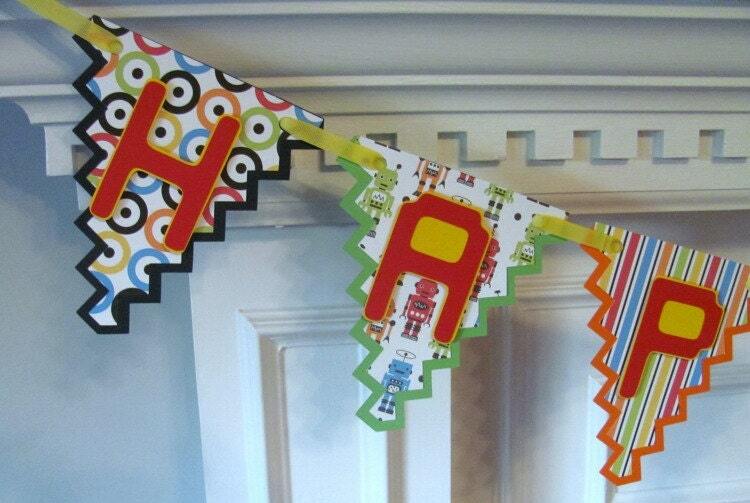 Pennants are made of 2 layers-cardstock with a robot themed designer paper overlay. You will receive 2 banners. The first banner reads Happy (year) Birthday. 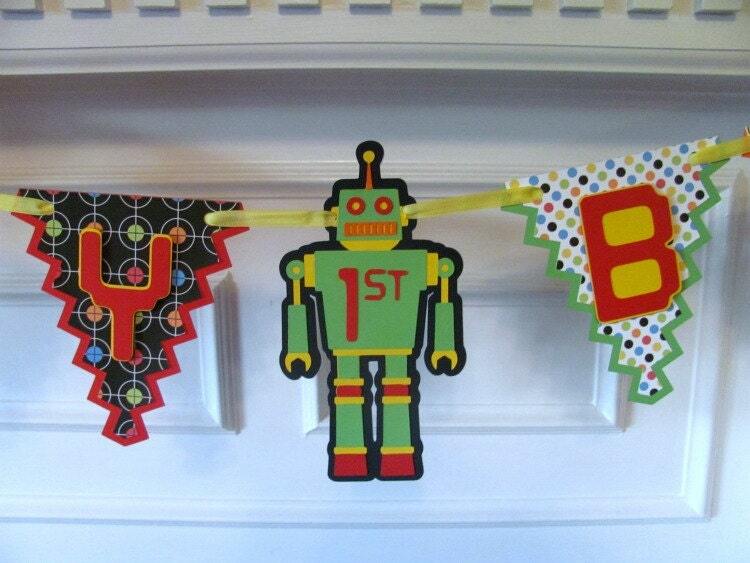 The second banner features the name of birthday boy/girl and is anchored with robots. Letters are done in a fun font in yellow and red and are raised for a 2-D effect. Pennants are approximately 5" wide and 61/2" in height. Banner will be strung with yellow ribbon. Custom wording is available on request. Please convo me with desired wording for pricing. Order processing is 7-10 days and orders within the US are shipped via priority mail with tracking. International orders are shipped via US First Class International mail. Please allow 2-3 weeks for international shipping.